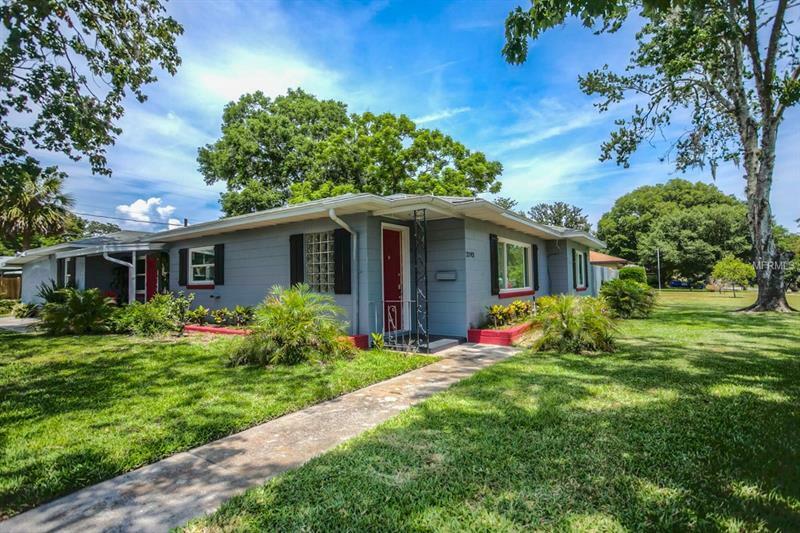 Completely remodeled and upgraded home in desirable Lake Gertrude neighborhood. Beautiful, fenced corner lot just one block from the lake! Freshly painted interior and exterior, new windows, newer central air and hot water heater. Impeccable design choices throughout this spacious home. Wonderful floor plan and tons of storage! GORGEOUS kitchen with large center island, large living room and family room. Split plan, tile floors throughout. The bathrooms have been redone to perfection, so many high end details throughout this lovely home! Large, covered screened porch overlooking the spacious backyard. Just a minute from downtown Mount Dora shopping, restaurants and waterfront marina. Courtesy of Mount Dora Realty Group Inc.